Since 1892, Holland Home has been providing vibrant independent living for area seniors, assisted living services for those needing help with everyday activities, and skilled nursing for those requiring a higher level of care. The level of the services we offer has continued to grow as the needs of our community have increased, from contemporary townhome and apartment living to world-class memory care and rehab services, all provided with a heartfelt promise to serve those we care for with love, compassion, and a never-ending commitment to excellence. Serve with love and compassion. Follow Christ's teachings and example in all we do. Holland Home is called by God to be of service to others, and, in our efforts, we will constantly seek God’s guidance. We will provide services with love, compassion, and excellence, and, through our efforts, our residents and clients will feel love, comfort and peace of mind. We will provide a broad and flexible range of services and housing options that are tailored to meet the needs of individuals both within our facilities and in the community. Managing our resources carefully allows us to fulfill our commitment to Christian benevolence. And, we will always remember that we serve in Christ’s name. Holland Home has grown as the needs of those we serve have grown. Over the years, Holland Home has continued to innovate and expand its residential and community-based services to improve the living and care of seniors. Holland Home is blessed with a team of dedicated executives who are committed to excellence and are leaders in the field of senior health care and in our community. As a leader in senior care, Holland Home is called to share its expertise with the community. The resources we provide range from engaging events and expert speakers to vital information that helps improve the health and safety of our community's older adults. Our family has a long tradition with Holland Home. It goes back to my grandmother and their families before that as well as the uncles and aunts. Tandem365 is an innovative collaborative venture among Holland Home, Clark Retirement, Sunset Retirement Communities, Life EMS, and Porter Hills, aimed at helping older adults navigate the complexities of healthcare while enabling them to remain in their homes by making available healthcare services not traditionally provided. Through customized care coordinated by a team of health care professionals, participants in Tandem365 have access to the best services and supports available with a single point of contact. 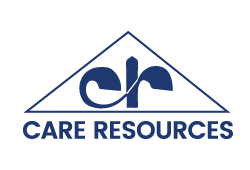 Care Resources is part of the PACE (Program of All-Inclusive Care of the Elderly) program and operates a facility that provides an organized day program of medical, therapeutic, social and health care services for participants with functional impairments either physical or mental, for the purpose of restoring or maintaining optimal capacity for self care and quality of life. 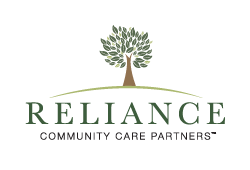 Reliance Community Care Partners has been a resource for elders, caregivers, and others with long-term care needs since 1979. Through a variety of activities, case managers coordinate the services that help with daily life and assure the appropriate level of gentle and dignified care for each individual’s need. Trillium Institute is called to develop innovative ways to care for people with serious illnesses by providing education, resources and advocating for advance care planning. Trillium Institute also supports advanced medical training for physicians in palliative care. Trillium Institute’s mission is to advance the art and science of navigating how to live well, die well, and grieve well.